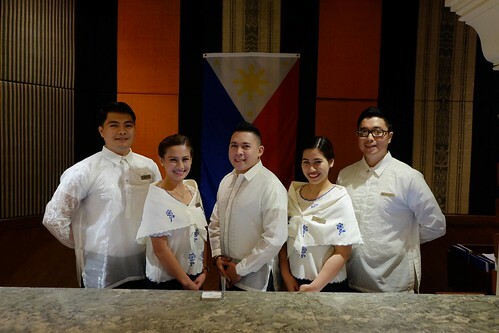 Marco Polo Davao’s Café Marco celebrates our 119th Philippine Independence with a salute to Filipino culture and cuisine this week from June 12 to 17, 2017. 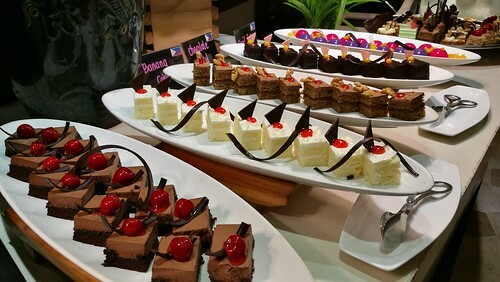 A festive lunch buffet and dinner buffet awaits you at the hotel’s resto in the heart of Davao which offers your favorite Filipino dishes and for some of us let you explore, experience and discover new tastes from those new dishes. 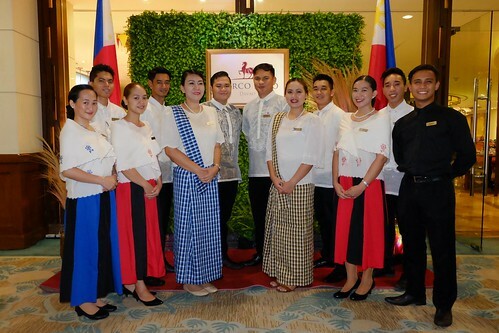 Last night’s Independence Day dinner with influencers from DDI and media friends was fun and interesting as Marco Polo Davao celebrated the country’s national day. 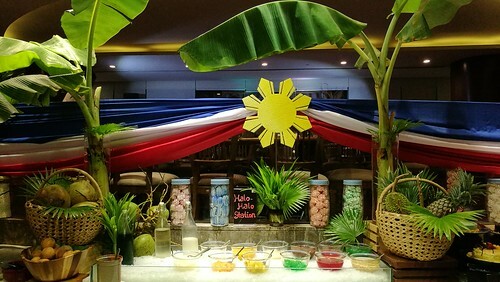 The halo halo station blended well with the theme’s decorations. 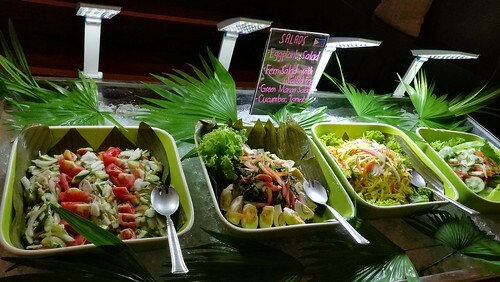 They also have a variety of Filipino salads for you who are into healthy-eating while in a buffet! 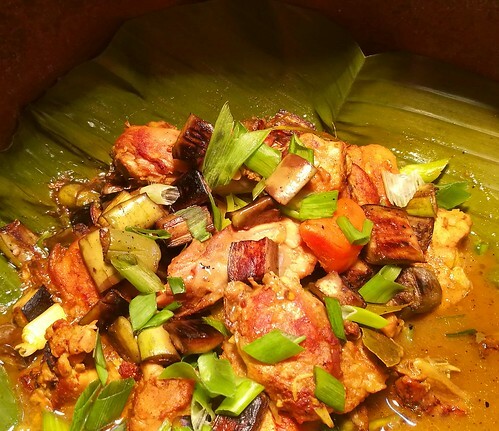 The Kari Imperial above was like a special Filipino chicken curry version that is definitely not your ordinary curry dish which really made me happy! 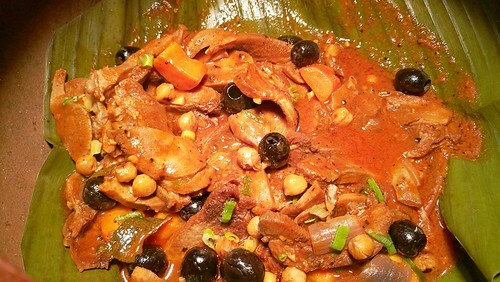 Lengua Estofado among other Filipino cuisine dishes served in huge clay pots spread in a section of the buffet. 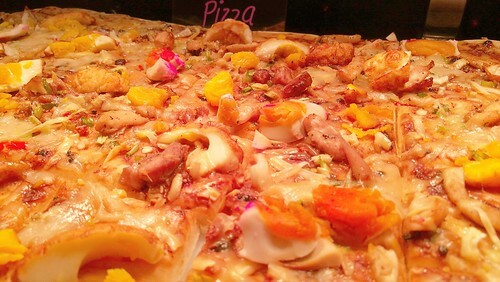 They also had Adobo Pizza for you to try! 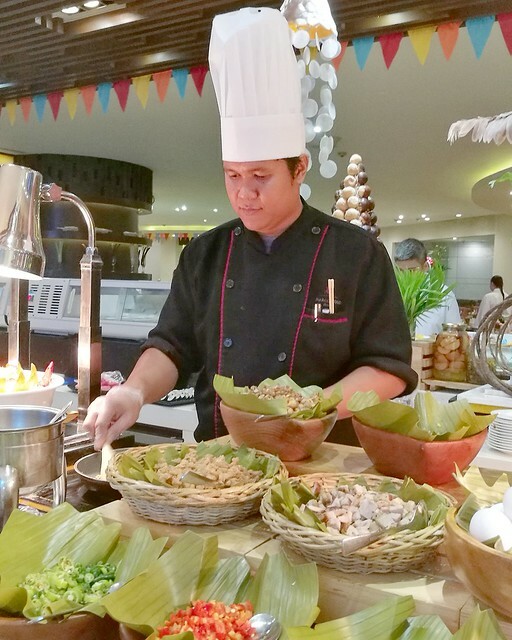 They do have a live cooking station in the buffet where you can specifically choose the ingredients for your sisig that they will cook! 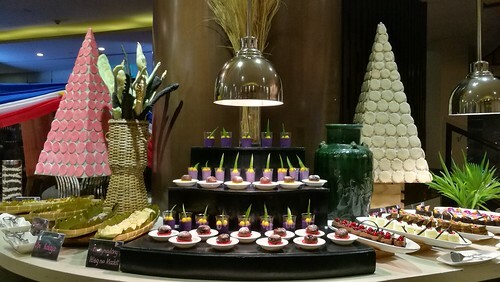 Now forgive me but this is my fave part of the buffet! 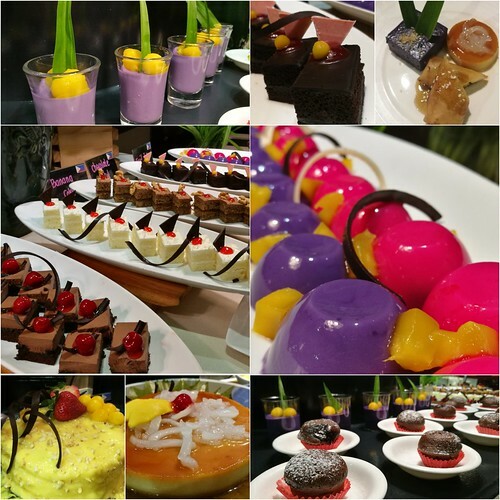 The festive Filipino dessert buffet spread was colorful and delicious! 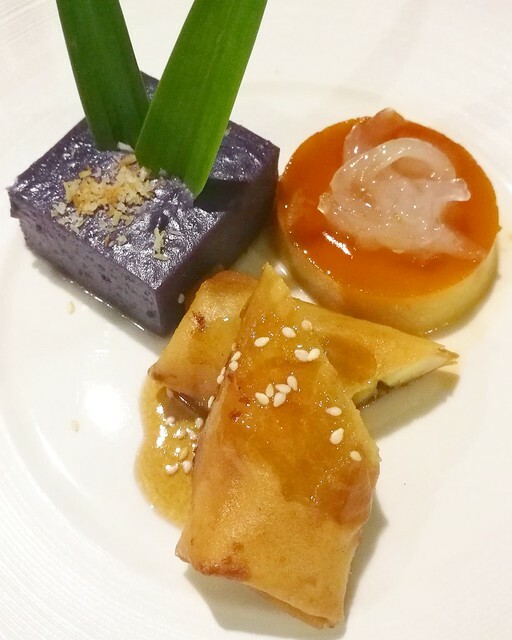 These Filipino desserts – Ube Halaya, turon, and all-time fave leche flan – which were specially served on our table were delicious! Influencers & media friends with Ms. Sarah & Ms. Dottie of Marco Polo Davao who were dressed for the special occasion and celebration! 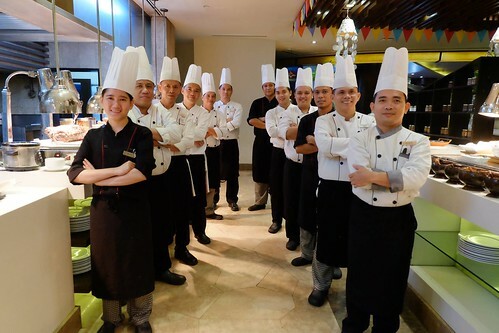 After a sumptuous dinner with friends at Cafe Marco, Restaurants, Bars and Events Manager Maam Chel Galang Yabut had a short cooking demo. 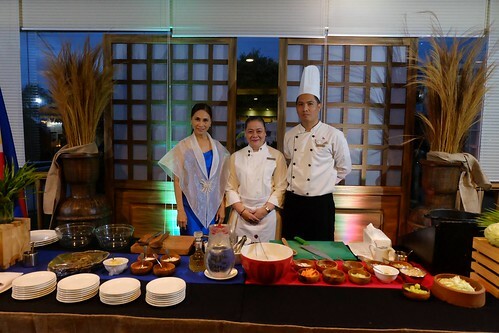 She is also a food historian, blogger, recipe and culinary director – put on the toque and showed us how to cook the Tagalong Ensaladang Talong and Pancit Pusit ni Asiong with Executive Chef Alex Destriza along her side. 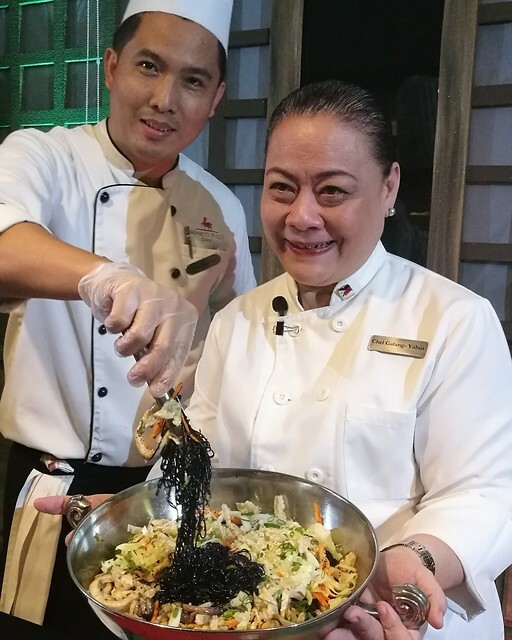 The ever friendly and smiling Executive Chef Alex Destriza and Maam Chel Galang Yabut showed off their Favorite Filipino Cuisine dish featured in Cafe Marco – Pancit Pusit ni Asiong. 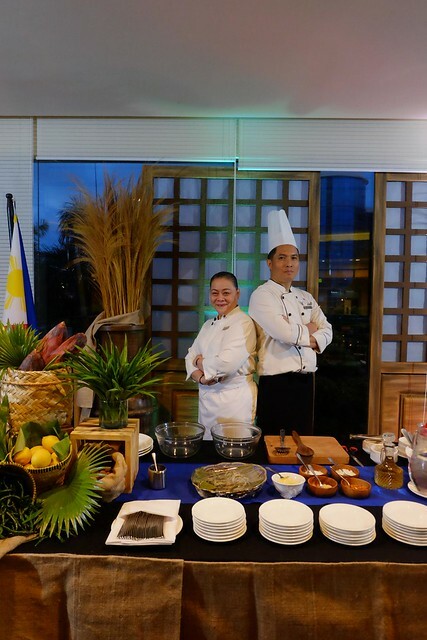 Those were some of the traditonal recipes of the Tagalogs from Southern Luzon brought to the heart of Davao for us to have an interesting feel on our Independence week celebration at Marco Polo. Marco Polo Davao General Manager Dottie Wurgler-Cronin, Restaurants, Bars and Events Manager Chel Yabut and Executive Chef Alex Destriza. “Celebrating our country’s national day or Araw ng Kalayaan is very timely and important in our times today. Food is a representation of our freedom and culture as Filipino from where you can taste the influence of Spanish, American, Japanese and Southeast Asian countries. 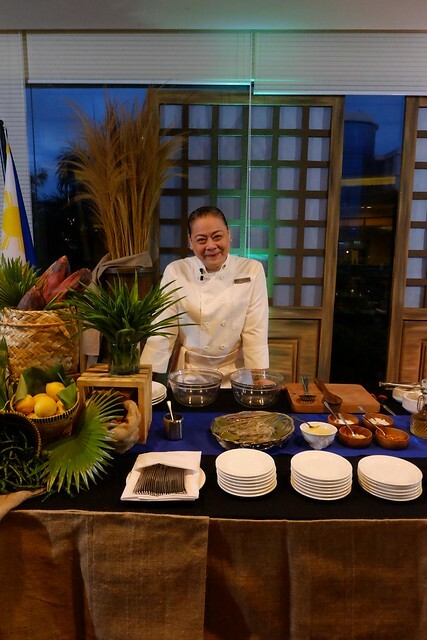 Filipino not becoming globally recognized to be truly appetizing and sumptuous,” says General Manager Dottie Wurgler-Cronin. Grateful to to Ms. Sarah and Ms. Dottie of Marco Polo Davao for inviting me to this wonderful celebration! 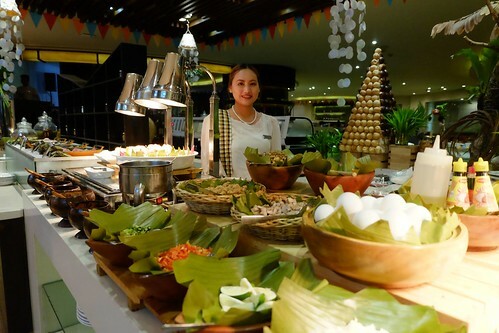 Dining guests can enjoy their favorite Filipino dishes like Kare-kare, Kaldereta, Mechado, Sinigang, Afriatada, Pinakbet, Adobo and sizzling Sisig for Php799 nett for lunch buffet and Php1,100 nett for dinner buffet. 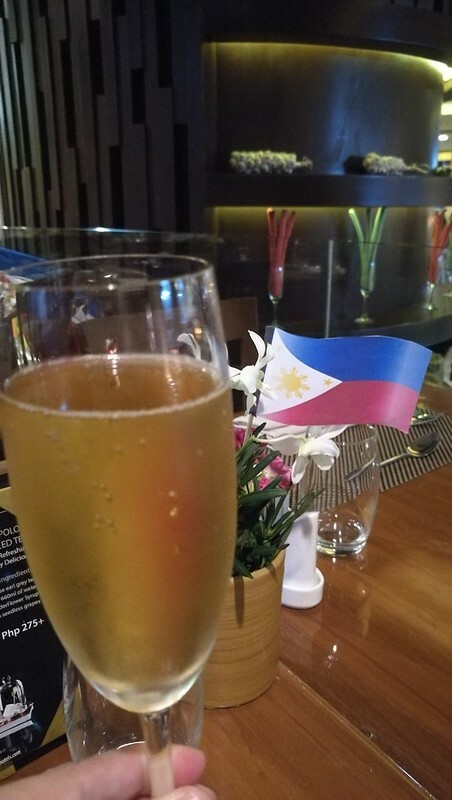 Let’s celebrate out independence the foodie way all week long at Marco Polo Davao! For you inquiries and reservations, you may call 221 0888 local 7302 or message Marco Polo Davao on Facebook at https://web.facebook.com/marcopolodavaohotel.